Roundtable Contributors: Princess Fee (DF'82), Estelle Hallick (This Happy Place Blog), Alan Mize, Melissa Sue Sorrells Galley (Mouse on the Mind), Blake Taylor (BlakeOnline.com), Andrew (Disney Hipsters Blog), and yours truly. My first ever half marathon was the inaugural Disney Princess Half Marathon, and it was an amazing experience, and so I watch each year’s event with jealousy and humility at the many women (and men!) who take part. This year’s race was held on Sunday 24th February, and the first lady to cross the finish line was Rachel Booth! She was cheered on by her two daughters to retain the title, and beat her time from the year previous. She could be a new idle of mine, having won four runDisney women’s titles (2 Princess Half Marathons, and 2 Disneyland Half Marathons). 26,000 runners took part in this year’s Princess Half Marathon, which takes place in Walt Disney World, and winds through Epcot and the Magic Kingdom for 13.1 miles of royal fun. If you haven’t taken part in this event yet, and think it sounds like fun, get your shoes on and start training! True story: When I first moved to NYC, I went to school and I cried a lot. 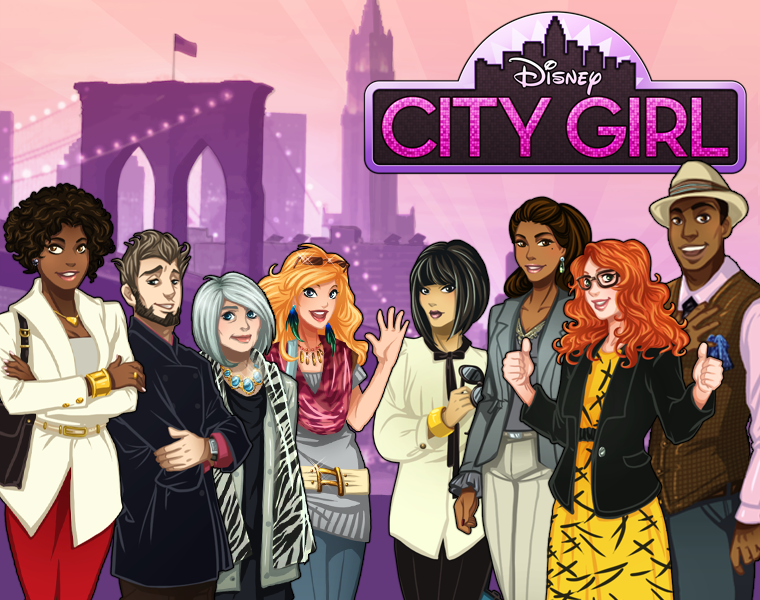 It was a hard transition and I got through it but who knew that Disney, years later, would create a game to teach me just how to succeed in the Big Apple? Oh Disney, what would I do without you? I guess it’s no surprise that Disney isn’t much for diversity when it comes to creating these likenesses because most of them are tall, skinny, have great hair, and resemble fashion plates than a normal, hardworking person who can’t be quite that perfect all the time. In a world where social media is everywhere and our phones are always close by, I hope young women everywhere would opt for real life -- really hanging out and about finding friends, shopping for their own apartments, and doing well in their jobs -- than a computerized one. 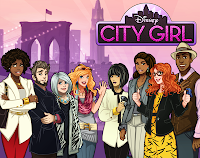 Was this really a demographic that Disney felt was lacking in gaming world? I find that hard to believe. Due to the fickle nature of children's television this show needs to be updated every few years to incorporate the new slew of characters. Sofia The First (a princess show...) and Doc McStuffins (a girl who is a stuffed animal doctor...really.) are the most recent additions. Though I haven't had a chance to see either show, or any Disney Jr. show for that matter, the puppets are equally as advanced and wonderful as the older ones. I was happy to see that they were integrated into the show well, and that they don't seem too pushy. This week, my topic is going to be short, sweet, and from what I hear, delicious. In the past, I have eaten at Earl of Sandwich at Downtown Disney and I have loved it. My personal favorite is the Hawaiian BBQ with grilled chicken, roasted ham, aged Swiss cheese, fresh pineapple, and barbecue sauce. The barbecue sauce is sweet, the pineapple is tangy, and the Swiss cheese provides a nice bite. I love it. However, there is one sandwich that has eluded me and seems to have an almost cult following: the holiday sandwich. Sadly, I’ve not had an opportunity to enjoy this concoction of oven roasted turkey, hearty stuffing, zesty cranberry sauce, seasoned mayonnaise, and warm gravy. Thankfully, the sandwich gods must have been looking out for me, because it was announced this week that the holiday sandwich will be finding a permanent home on the menu board. It’s truly a blessing that this is effective on March 4th, roughly two weeks before my next visit. I am so excited to try this sandwich for the first time and see what all the hype is about. I hope it lives up to the hype and if it does, I see many holiday sandwiches in my future. Great news for sandwich lovers: the Orlando Earl will now have the holiday sandwich on its menu all year long! In addition to the holiday deliciousness, the sandwich shop will also serve a variety of salads, wraps and a new line of soups. I, for one, can't wait to wait (and wait and wait) in line for my chance to enjoy a savory hit of the holidays any time of the year! I only wish they'd make the sandwich a menu mainstay at my local Earl of Sandwich in Manhattan. THAT would truly be something to celebrate. A book shedding light on the magic of Disney's guest services has been delayed until 2014. The Disney Difference by Ted Kinni was originally slated to release February 26, 2013, but has, for unknown reasons, been pushed back significantly on the calendar. Upon inquiring on a pre-order of the title at a local bookstore, I was told the book was postponed to next year. A bit incredulous, I tried to pre-order it at a different bookstore, where the order apparently went smoothly. That was, until a few days later when I received an email stating my purchase was unable to be processed. A reason was not given, but that was all but confirmation that Disney really had pushed back this book that had me so excited to delve into the backstage workings of Disney's approach to excellence. Perhaps the fickle nature of book schedules is the reason why Disney usually stays mum about new releases. A few weeks ago when I wrote of The Disney Difference's (supposed) arrival, I expressed curiosity as to why fans have to go searching for new Disney books rather than be informed of them from Disney publicity like the company does elaborately with everything else is develops. We may have our answer now: publishing is such an unpredictable medium that announcing books far in advance would mean recounting statements and updating announcements left and right, which would appear unprofessional. As bizarre as it is, this is not the first time Disney has heavily delayed a book. Fans flooded to bookstores in 2009 to pick up The Imagineering Field Guide to Disney's Hollywood Studios, only to be told the title would not arrive for another 16 months. It seems it's better that Disney remains quiet rather than confuse readers. I wanted to take a moment today to update all of you to a situation I wrote about concerning my last visit to Walt Disney World. 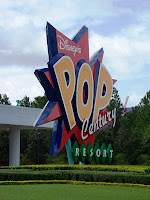 As many readers know, I was wholeheartedly disappointed with the customer service I received, more specifically the lack of response I received after several attempts to speak with management, when I was given a room at Pop Century that was still occupied. The morning that article ran I was contacted by a manager from Pop Century who is a dedicated reader of the Main Street Gazette. Unfortunately, he and I played phone tag over the course of the next week or so and were never able to actually speak to one another. The blame for this is squarely upon my shoulders, not his, as those next two weeks were incredibly difficult to navigate and I only had the briefest of windows with which to speak with the outside world. It did my heart a world of good to know that there were people listening, and I am happy to say that I believe my concerns have been addressed, whether or not I was finally able to speak with someone. The fact that I was reached out to, and the issues now known, leads me to believe that the situation I encountered won't befall another guest down the line. I want to offer my sincerest thanks to the manager who called me (I would love to publish his name here, but as I never obtain consent to do so, I feel it would be inappropriate to do so. However, he knows who he is) and also offer up my apologies for never being able to make that phone connection. For those of you worried about your upcoming experiences at Pop Century, let me reassure you that I believe it will still be a terrific place to stay!